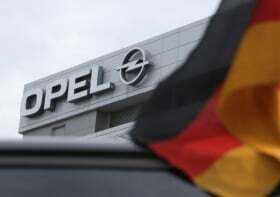 MUNICH – Some of Opel's largest dealers appear to be open to the takeover of the General Motors Co. subsidiary by a Chinese automaker. Dealers say separation from GM would allow Opel to sell cars in large new markets such as China. GM limits Opel sales outside Europe on fears that the brand would cannibalize sales of other established brands within GM. "It would certainly open new markets for Opel if a Chinese company were to take a stake," said Albert Still, chairman of the AVAG Holding, Europe's largest Opel dealer. Ford Motor Co.'s sale of Volvo Cars to China's Zhejiang Geely Holding Group shows that the participation of a Chinese investor does not necessarily harm a European brand, Still said. "If a Chinese company comes, it's coming to buy its way into the European market," he said. Stefan Quary, head of the Duerkop multiple-brand group and one of the biggest Opel dealers in Germany, is also open to the possibility. "With a serious Chinese investor who wants to use this as a way into the European market and as a globalization measure for its own automotive involvement, you have to at least look into it seriously," he said. Dealers don't see it as a bad thing "if Opel continues to be positioned judiciously as a European brand and its know-how is not simply drained away but rather continues to progress," Quary said. Last week, Opel CEO Karl-Friedrich Stracke said German press reports that the unit could be sold to a Chinese company or Germany's Volkswagen were speculation and without any foundation. GM CEO Daniel Akerson is impatient with restructuring to restore the money-losing Opel unit and its UK-based sister brand Vauxhall to profitability and is reviewing options, Reuters reported. But Akerson believes selling Opel is not realistic because the business is closely integrated with the rest of GM's global operations on technology and vehicle platforms, Reuters quoted sources familiar with GM's thinking as saying.